NM for lowest diff please https://osu.ppy.sh/beatmapsets/828749#osu/1736313 thx ! Nm please https://osu.ppy.sh/beatmapsets/905486#osu/1915815 Thx ! NM please https://osu.ppy.sh/beatmapsets/905486#osu/1915815 Thank you ! I'll take M4M https://osu.ppy.sh/beatmapsets/851359#osu/1912165 Thank you ! Lets M4M https://osu.ppy.sh/beatmapsets/851359#osu/1912165 Thank you ! 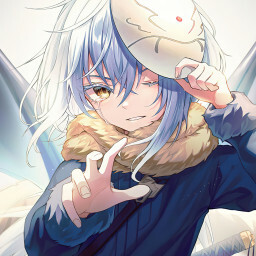 Hi !M4M please https://osu.ppy.sh/beatmapsets/851359#osu/1912165 Thx ! Hi ! NM Bandori too https://osu.ppy.sh/beatmapsets/905486#osu/1915815 Thank you ! Hi ! M4M I guess https://osu.ppy.sh/beatmapsets/905486#osu/1915815 Thx ! Hi ! https://osu.ppy.sh/beatmapsets/851359#osu/1912165 Thx ! Hi ! M4M please https://osu.ppy.sh/beatmapsets/851359#osu/1912165 Thx ! Hi ! https://osu.ppy.sh/beatmapsets/905486#osu/1915815 Bandori stuff owo Thx ! Hi ! NM please https://osu.ppy.sh/beatmapsets/828749#osu/1736311 Thank you ! Hey, NM please https://osu.ppy.sh/beatmapsets/851359#osu/1912165 Thank you ! Hi ! M4M maybe ? https://osu.ppy.sh/beatmapsets/851359#osu/1912165 thx ! Hi ! M4M please https://osu.ppy.sh/beatmapsets/828749#osu/1736311 thank you ! Hi ! M4M please https://osu.ppy.sh/beatmapsets/828749#osu/1736311 thx ! Hi ! NM please https://osu.ppy.sh/beatmapsets/905486#osu/1915815 thx !